We have several ways that we provide opportunities for our Section members to engage with the section, with each other, and be recognized at the Section level. 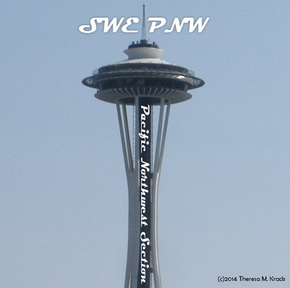 Please contact swe.pnw.membership@gmail.com with comments, suggestions, and submittals. Even more information coming soon! Our section is always on the look out for people to help with planning events, joining planning committees, or helping to take on roles behind the scenes to help bring a better experience to our members. If you'd like to volunteer with SWE at the section level, let us know! We always on the lookout for guest contributors, whether for our newsletter or our blog. Click here to learn more or submit your ideas! We have a great forum on Facebook for our members to engage with each other. Share an interesting article, start a conversation, post a question, or even create a poll to get the discussion started! Check out our forum here. Nominate a SWEster for a Shout-out! Check this link for more details. Online form coming soon! Share your good news so we can celebrate with you!